Exam stress and three quick tricks from the NLP technique. A quick scan of the internet for ‘exam nerves’ and ‘exam stress’ brings up hundreds of articles of tips and tricks to overcome this debilitating condition. Many of them have sensible advice and some are a little far fetched, from visiting donkeys, playing with puppies and popping bubble wrap. Independent 16 to 19 year old person with excellent memory for facts, figures and dates to work in huge office space where nobody talks to them. The successful candidate will be unpaid, and will be expected to work for up to three hours without a break. He or she will be required to write at length on an unspecified subject without access to research facilities. Discussion with co-workers is not permitted and would result in instant dismissal. Feedback on quality and standards will be provided no sooner than three months after work is complete. No experience necessary. Full training will not be given. What would you think if you saw a job like this advertised? Does it excite you? Is this the career opportunity you have been looking for? Do you know anybody who works in these conditions? A job like this would surely be outlawed, but in fact this advert describes the conditions of examination situations everywhere. It is no wonder then that many of those sitting their GCSEs, A-levels and other qualifying examinations become extremely anxious and stressed around this time of year as the exams approach. No matter what we think of the examination situation as a way to access academic achievement and employability, it is a system we are stuck with. All students, teachers and parents can do is make the best of things and be as prepared as possible. The purpose of the average exam, for those in the ‘hot seat’, is to demonstrate your knowledge, skills and understanding in a range of different subjects. Wherever you are on the journey of learning, you need to be able to confidently and quickly access that knowledge, express your understanding and demonstrate your skills. It’s a tall order, and made so much harder if you are feeling stressed, full of self-doubt and experiencing physical symptoms such as sweaty palms, racing heartbeat, and trembling from head to toe. Schools and colleges are excellent at providing students with revision techniques, sample papers and the time in which to practice and hone their exam skills. They facilitate mock examinations held in typical conditions to give you a chance to experience the exam environment. They provide you with time to revise and may have revision groups that you can attend. All this can help enormously, but candidates also need help and training in getting themselves into the best emotional and mental states at and before exam time. You need to learn how to control your emotional response, letting go of anxiety and panic. You need to maintain balance and be confident in your abilities, so that you can make the most of the time that is available and stay focused. So perhaps, behind the more obvious skill set of remembering information, answering questions effectively and understanding complex concepts, there is another level of learning that needs to take place. Techniques from NLP and other disciplines are very useful and powerful ways to make a difference. First of all, it can be good to be clear to yourself what the purpose of these exams is. They are certainly a culmination of your educational experience and a chance to get recognition and reward for all that hard work you put in. Beyond that though, do you have a purpose in mind that these examinations can serve? Do you have an idea of what you want these qualifications to lead to? What is the next step? Do you have a goal? The answer to these questions will vary and while it is great to know exactly where you are headed, not everybody knows exactly what they want. Many will at least have begun to think about that next step - college, university a career decision. It can be useful to have that vision in mind as a vivid and compelling picture. See yourself in your mind's eye in that future situation having achieved your goals in your exam. Experience the satisfaction and reward of doing well at your exams. 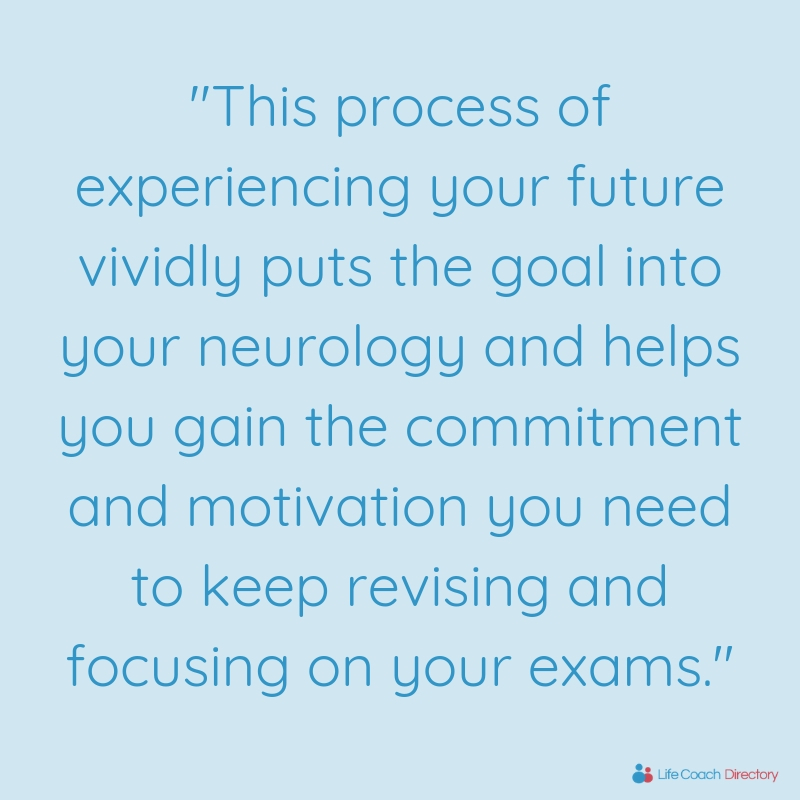 This process of experiencing your future vividly puts the goal into your neurology and helps you gain the commitment and motivation you need to keep revising and focusing on your exams. When you are actually revising, as with any task, you will perform at your best and remember the most when you are in ‘the Zone’. This powerful state is a time when you are so totally focused and absorbed in a task that you have no awareness of your surroundings. Time can often seem to fly by in the zone and you will be at your most effective and you will be able to absorb much more. Find somewhere free of interruptions. Isolate yourself from any distractions other than the task at hand. Switch off the phone, clear your desk or working space, close any screens on your computer that you don’t need. Focus on a ‘chunk’ of revision – a topic area, a particular theme, or a single text and make that the sole subject of this revision period. You can always move on to another in a future session. Listen to music, find silence, or have a steady and non-intrusive background noise according to your taste. When you go into the exam it can be a challenge to focus on the questions and do a good job when you are in a state of panic or anxiety. It can seem almost impossible to switch from this nervous state into a more positive, resourceful one, yet we are changing our state all the time according to our reactions to the world around us. There are many ways that you can improve your state, but this is something simple that can make a powerful difference. Make a mental list of three things there and then that you feel you should be grateful for. Sometimes these things are specific things that have happened to you recently – a party you enjoyed, a new pair of shoes, an achievement you are proud of. Other times they may be people in your life, or things such as your health, your financial situation, having a brain! These things may not even be completely ideal right now, but how much worse could life be without them? So ask yourself this question and give yourself some answers. Then get on with the job of completing the exam and start making the things you are grateful for, even better. When you’re in the exam situation you need to access your memory effectively. You may be inclined to frown and concentrate and try to squeeze the learning out of your mind like trying to get the juice out of a lime. Much more effective is to be in a state of allowing the memory to surface naturally. Your unconscious mind has stored the memory and it is just waiting there for the right opportunity to release it to you. It is much easier to access a memory in a relaxed, almost trance-like state where the unconscious mind is nearer the surface, so to speak. Pick a spot on the wall to look at, just above head level. Stare at the spot and gradually become aware of the areas around the spot. Grow your awareness so that it takes in a wider and wider area of the room around you, keeping your eyes on that spot but gradually noticing movement, colours, shapes and people in your surroundings. Relax and bring your awareness back to the paper in front of you. Open it and just start. I hope that you will try these techniques and that they will aid you in making your exams easier to cope with and more enjoyable. Also remember that exams lead to qualifications, but experience leads to success. Whatever happens, you will be ok, so relax and allow life to happen the way that is best for you.